Friday evening, May 31, 2019 through Sunday afternoon, June 2, 2019. 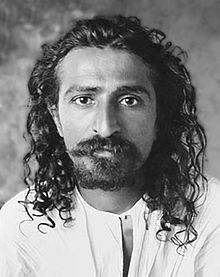 Meher Baba is the embodiment of Love and the Avatar of this Age. The Northeast Gathering is an annual opportunity for His lovers to come together and share the joy of hearts filled with appreciation for the gift of His Presence, in a weekend filled with Light through music, conversation, activities, and heartfelt talks. The Gathering will be held at The Warwick Center, a 465 acre hilltop estate on the outskirts of Warwick, NY, a beautiful area at the entrance to the Hudson Valley just 50 miles from New York City. Childcare and children’s activities will be available during much of the Gathering. Volunteers will be needed, ideally in 45-minute or so shifts. Please contact Shilpa Kalavapudi skalav1@gmail.com to volunteer for this wonderful and much needed form of service. Public transportation is available from New York City to the town of Warwick, via the New Jersey Transit bus lines #196 and #197, which run directly from the Port Authority Terminal in Manhattan. If you plan to come by this means, please contact Rick Lawton at rick.lawton@yahoo.com so that we can arrange for a driver to transport you from the bus stop to Warwick Center. Breaking news! Anyone with limited financial means who wishes to attend the Gathering this year will be guaranteed support, thanks to the incredible generosity of a devoted supporter of the Northeast Gathering. Please contact David Harman at dharman361@gmail.com if you wish to discuss financial arrangements. Visit our Facebook page at https://www.facebook.com/NortheastGatheringForMeherBaba.